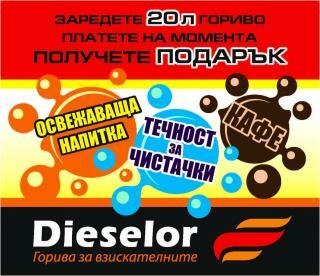 Do not miss the promotion Zagorka + Bake rolls in petrol station Dieselor in Sofia. Timespan: From 12.05.2014 until stocks last. Load fuel and do your shopping with a discount in supermarkets Nedelevi Brothers! 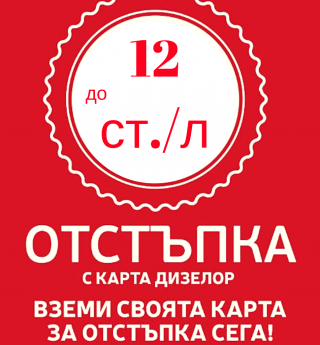 Timespan: From 17.12.2015 until stocks last. Load fuel and save money from the Annual Technical Control! Timespan: From 01.04.2015 untill 21.07.2015. Timespan: From 11.05.2015 until 21.07.2015 or until stocks last.